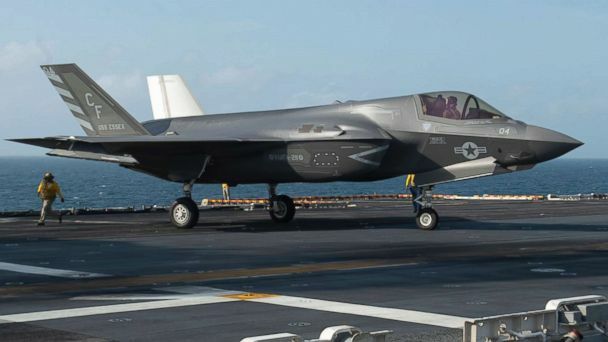 The Israeli Defense Ministry tweeted that the "Israeli Air Force halted all F-35I flights until all aircraft are tested" for "a technical malfunction in the engine's fuel tube." "We are actively partnering with the Pentagon's F-35 Joint Program Office, our global customers and Pratt & Whitney to support the resolution of this issue and limit disruption to the fleet," said a statement issued by Lockheed Martin, the airplane manufacturer that makes the F-35. Pratt & Whitney makes the engine used in the F-35. "From the ongoing investigation, I am glad that the Department of Defense took swift and decisive action to keep the F-35 fleet and its pilots safe," Representative Mike Turner of Ohio who chairs the House Armed Services subcommittee on Tactical Air and Land Forces. "As Congress returns in the coming weeks, I will continue to hold hearings and briefings to keep our pilots safe and keep improving the F-35, which remains unparalleled in its capability as a fighter jet," Turner added.